Who Wins on the Search Engines? We're very taken with the idea of consumers creating content for the Internet. With the advent of blogs, tagging, personal profiles, garage band music and amateur web videos, instant notoriety is just an "upload" click away. The sheer volume of user content is staggering. Wikipedia's user-created entries have surpassed the 5 million mark. 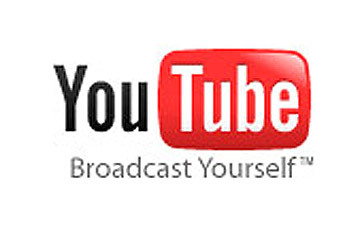 In 2006 YouTube announced that it had served over 100 million video clips per day. With such vast libraries of lip-synched videos and episodes of LonelyGirl15, the numbers seem to indicate that this phenomenon has gone mainstream. One of the exciting concepts of the next generation of sites is the democratization of the Internet. By enabling each of us to create and publish our own material, the power of deciding what we read and watch has spread from a handful of media companies to anyone with an Internet connection and a cheap webcam. But the latest data on Internet participation reveals that only a very small percentage of Internet activity is related to users creating and publishing content. The 80/20 rule, also known as the Pareto Principle, states that 80% of all consequences stem from 20% of the causes. If true, the rule would then suggest that 80% of this new form of content is created by 20% of the users. The rule, subject of countless business books, has no application when it comes to consumer-generated content. Far less than 1% of visits to most sites that thrive on user-created materials are attributable as participatory, the remaining 99% are passive visits. According to Hitwise, only 0.2% of visits to YouTube are users uploading a video, 0.05% visits to Google Video include uploaded videos and 0.16% of Flickr visits are people posting photos. Only the social encyclopedia Wikipedia shows a significant amount of participation, with 4.56% of visits to the site resulting in content editing. Not only is the percentage of participation very small online, there are some very strong skews as to who is participating. Visitors to Wikipedia are almost equally split 50/50 men and women, yet edits to Wikipedia entries are 60% male. The gender gap is even greater for YouTube, a site whose visitors are equally male and female, but whose uploaders are over 76% male. With age comes experience, as well as the desire to disseminate knowledge. There is a clear age difference between visitors to Wikipedia and editors of its content. Over 45% of visitors to the site are under the age of 35, while 82% of those making edits to the site are 35 years old or older. Web 2.0 has been successful in significantly broadening the amount material available to us, but reviewing the latest data reveals that we're still in the very early stages. Watching videos of Charlie the Unicorn or the latest interpretation of Star Wars Cantina music feels as though we're in the awkward and uncomfortable position of being one of the first guests to arrive at what promises to be a very cool party.